Nothing creates an impact like natural slate. SSQ is your No. 1 choice for natural slate in the US. Aesthetic beauty, quality, and prestige – SSQ slate has it all, and for less than you might expect. Our slate has been used on all kinds of prominent projects around the world, from Blenheim Palace in England and The Four Seasons in New York, to luxury private homes across Europe and the US. SSQ was founded in England in 1983 and is trusted to this day by Historic England and Historic Scotland, the authorities charged with preserving Britain’s landmark structures and is used in the United States on buildings on The National Register of Historic Places. Natural slate has a certain magic to it. Literally millions of years in the making, the rock is skilfully carved from the earth and each slate is hand-split, giving your roof a unique character and beauty that can’t be imitated. But it’s important to know that not all slate is created equal. 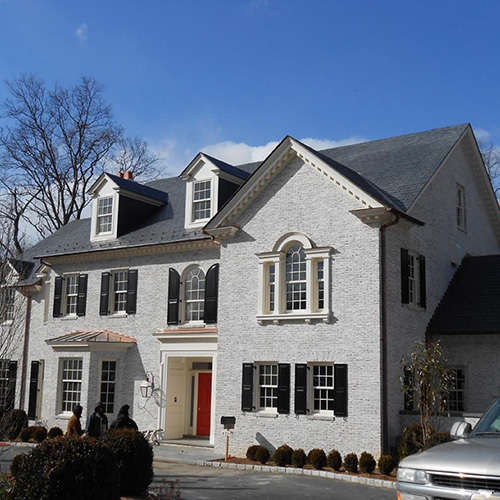 When choosing slate for your home, be sure to select one that is unfading over time, tested to the highest standards in the industry, and from a single quarry source to ensure every slate has a consistent quality and appearance. Whatever color and look you want, SSQ has a high quality, unfading slate for your project. 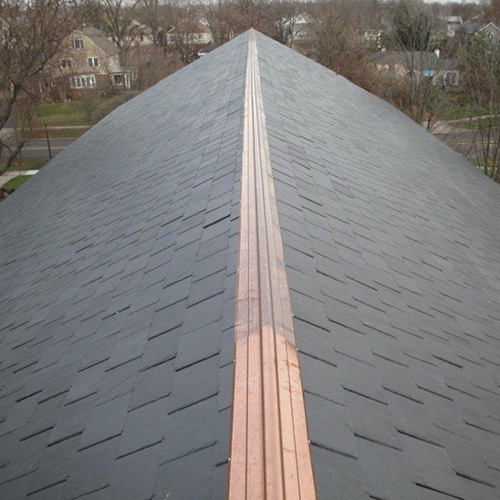 All of our slates achieve a grade S1 rating on the ASTM C406 standard – the highest possible classification. In fact, we’re so confident in the quality of our slates that they come with a 100-year guarantee. See the beauty and quality of SSQ Slate for yourself – request a free sample pack. The pack includes free samples of our slates and all the information you need to make the right choice for your project. 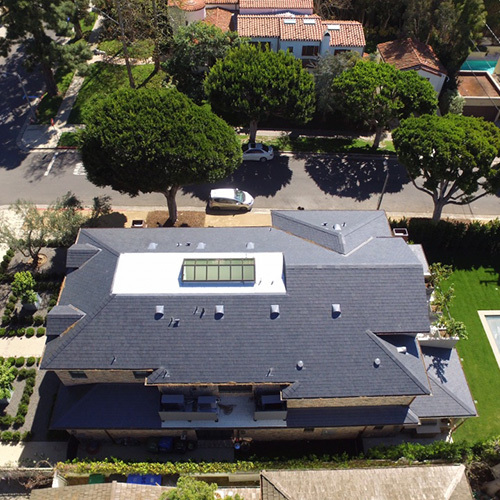 Natural slate is sometimes regarded as an expensive material but because of its durability and low maintenance it is extremely cost-effective in the long run. SSQ has a reputation for supplying the highest quality slate available but it’s also surprisingly affordable. It’s important to realise that a more affordable slate does not mean a poorer performing one or vice versa. The price of any particular slate depends on many factors including the ease of extraction and dressing. As not just slate suppliers, but quarry owners and producers, we understand how to supply top quality slate at the right price. And we have stock on the ground ready to ship today, so there are no delays with your project. SSQ Group is a family business. We take pride in supplying high quality, unfading natural slate to the US and over 20 other countries around the world. The quality of SSQ slate is unrivalled. Get a quote today or request your free sample pack now.